Tesco reported a better-than-expected 34% rise in full-year operating profit and hiked its dividend on Wednesday, cementing the recovery of Britain’s biggest retailer under boss Dave Lewis. 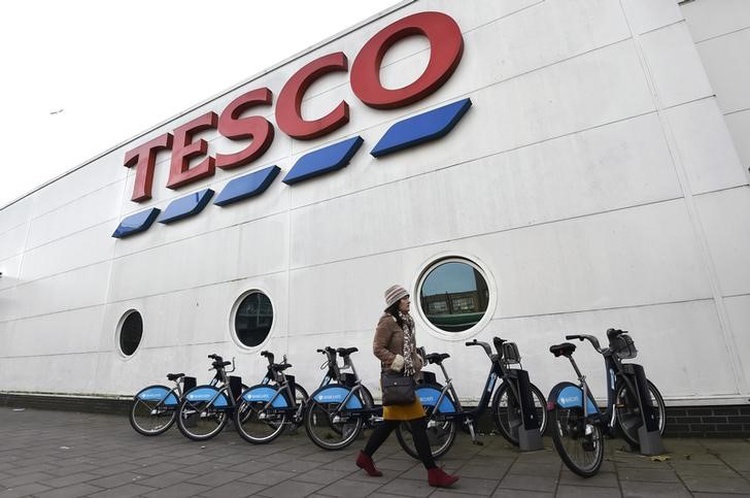 The improvements have also helped Tesco steer a steady course through a period of industry turmoil, as the country prepares to leave the European Union and as Tesco’s two biggest competitors try to merge to become the new industry number one. Tesco has a leading 27.4% share of Britain’s grocery market, according to the latest industry data, and looks set to retain that place after the competition regulator said in February it was minded to block Sainsbury’s 7.3 billion pound ($9.6 billion) takeover of Walmart’s Asda. “Whilst the market remains uncertain, our performance to date is strong,” Lewis said. Tesco shares opened around 1% higher. The group posted operating profit of 2.21 billion pounds($2.89 billion) for the year ended February 23, ahead of analyst forecasts of 2.08 billion pounds, and up from 1.64 billion pounds in 2017-18. Group sales rose 11.5 % to 56.9 billion pounds and the company recorded its 13th quarter of like-for-like sales growth in its main UK market, with a 1.7% increase in the final quarter. It declared a dividend of 5.77 pence per share, up 92%. Tesco said it was confident of meeting the remaining goals in its turnaround plan this financial year, chiefly improving its profit margin to 3.5-4.0%. The group’s operating margin improved to 3.45 % in the past year. Lewis also told reporters the company had not seen any softening in consumer sentiment despite the gridlock at the top of Britain’s government over Brexit, adding he thought customers were now fatigued by the issue. The post Tesco’s operating profit rises higher than expected appeared first on SABC News – Breaking news, special reports, world, business, sport coverage of all South African current events. Africa's news leader..